1 No interruption, no kids yelling, no phone calls. 2 Extra 2 hours per day = 14 hours per week = 728 extra hours = 30 days per year to shits done. 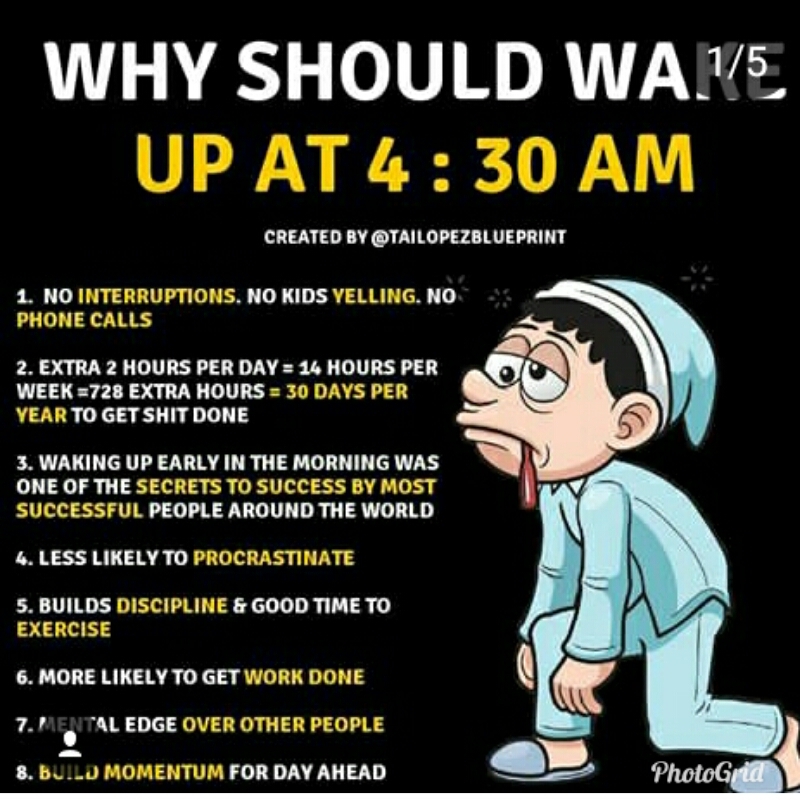 3 Waking up early in the morning was one of the secret to success of most successful people around the world. 4 Less likely to procrastinate. 5 Builds discipline and good time to exercise. 6 More likely to get work done. 7 Mental edge over other people. 8 Build momentum for day ahead.